Petra Academy was founded in the summer of 1995 by a group of Bozeman parents desiring more for their children’s education than they were currently receiving. Louise Turner attended an Association of Classical and Christian Schools (ACCS) conference in Moscow, Idaho, and brought back the insights that she had gained about classical and Christian education. She shared this vision with other interested parents and they opened the school that fall. The Lord provided strength, clarity and vision as they took the step of faith with Mrs. Turner serving as the Administrator. Books were ordered, students were enrolled, and teachers were hired, but Petra still lacked a facility in which to meet. After continuing to pray, God provided a building on the Friday before school was to begin. Classes commenced on Monday, September 11, 1995. The enrollment that first year was nineteen students in grades 7-10. There were many challenges: expenses were great, but income was small. Beginning secondary classes instead of elementary classes also posed a great challenge. Many thought Petra would not survive, especially when the building flooded and Petra lost its entire library. After three years, elementary grades were added as God supplied every need, including buildings, staff, and families to help. 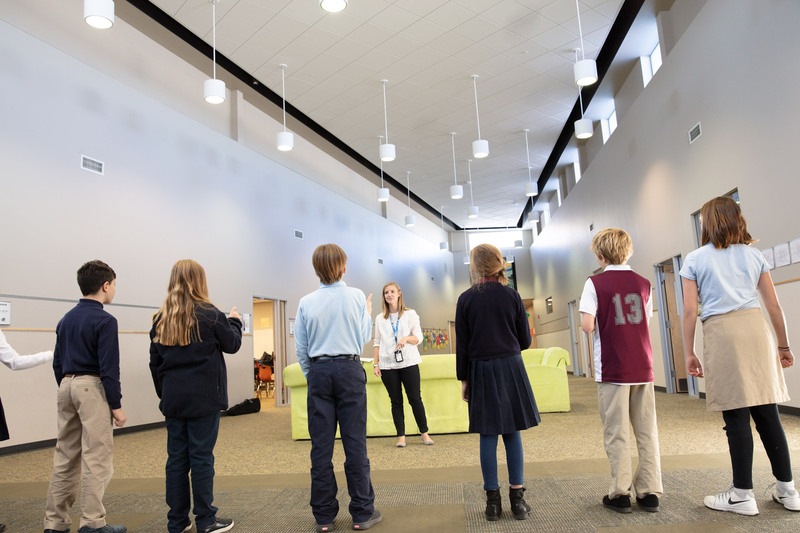 Under the direction of new Headmaster Todd Hicks beginning in 2008, Petra continued to experience growth and, after occupying three separate rental facilities for sixteen years, moved into its own 45,000 square-foot facility in September 2011. Our campus is located on a scenic 20-acre plot on the west side of Bozeman next door to the Bronken Soccer Complex, at the corner of Durston and Cottonwood. Petra receives full accreditation from the Association of Classical and Christian Schools (ACCS). Petra Academy’s accreditation is renewed for five years by the ACCS. Petra Academy wins its first state championship in Ultimate Frisbee. In 2015, we expanded our building with a new Grammar school addition to encompass a total of 57,350 sq. ft. of space dedicated to shaping the hearts, minds, bodies, and souls of our students. Complete with gymnasium, soccer field, library (with almost 5,000 titles of books, magazines, audio recordings and reference books), performance hall and stage (the deepest in Bozeman), and two wings of classrooms (including science labs), our building provides beautiful space in which our particular brand of classical Christian education happens. In this, our twentieth year of Petra Academy, we also welcomed Headmaster Craig Dunham.